Today is just like any other Friday to me since I’m not a fan of Valentine’s day. I probably sound very unromantic here but I don’t understand people spend fortune to book in the restaurant or send expensive flowers on Valentine’s day. To me, it should be a relaxing time to spend with people you love – lovers, family and friends. I think making dinner at home is so much better than wrangling into a busy restaurant today. Have a cooking date and enjoy a delicious meal together! 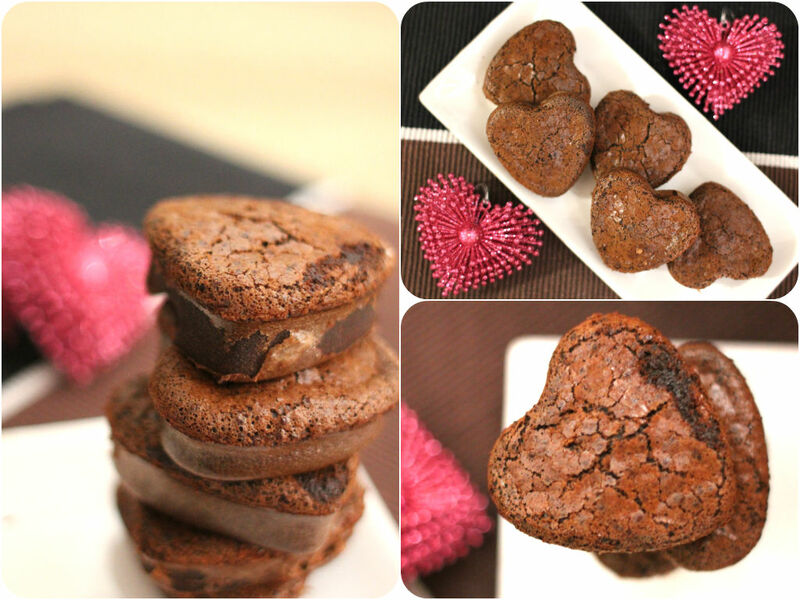 Since it is a day of love and romance, I made mini heart shaped flourless chocolate cakes. It is gluten-free yay 🙂 I used a Swiss dark chocolate and no extra sugar or butter, so it might taste quite bitter and plain. Adjust the recipe according to your taste. Melt the chocolate in a bowl over a pot of simmering water. Stir until it completely melts. Lightly beat 6 eggs in a separate bowl. Add chocolate mixture and other ingredients into egg mixture. Pour into the baking tin (I used 6-heart shaped muffin tin) and bake in the preheated oven (180) for 40-50 minutes until cooked. Cool it down completely and serve.